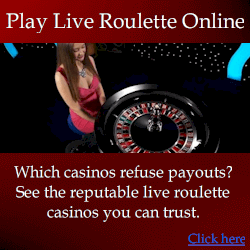 Below are a collection of recorded spins from a real roulette wheels. 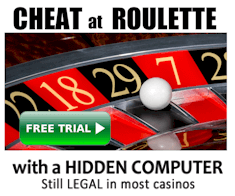 Be aware that any recorded video is subject to various imperfections in playback that will affect the accuracy of devices such as roulette computers. The degree of these imperfections depends on your PC and running background tasks. This wheel is “almost level”, meaning the ball hits each diamond a reasonably even number of times. This is as difficult as it gets for this particular wheel. This is the same wheel in the video above, but with a “tilted” wheel. This means the ball tends to hit specific diamonds significantly more than others. This makes beating the wheel considerably easier. The link for the MRK7 Tilted wheel seems to be broken ? Would love to practice on this.